Get your adventure on in this women's jacket. 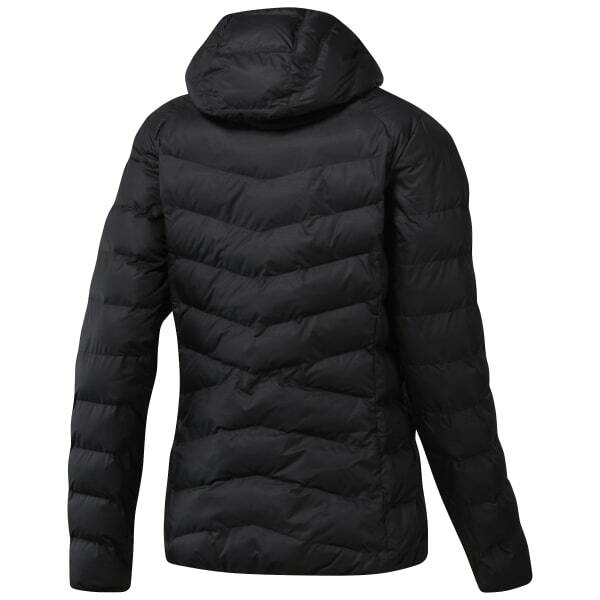 Featuring a synthetic down fill to help keep you cosy and warm, this piece packs well for day and weekend trips alike. When the weather turns to drizzle, the Durable Water Repellent finish helps keep moisture out. Throw up the hood for more coverage.